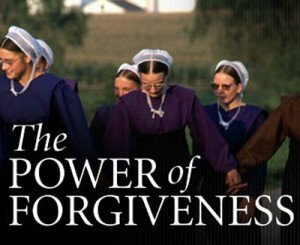 The POWER of FORGIVENESS is a dramatic documentary film from Journey Films that takes an honest look at the intensity of anger and grief that human nature is heir to. It is a collection of seven short stories that profile some of the most dramatic transgressions imaginable along with stories that feel more familiar and manageable to the viewer. It explores the role forgiveness holds in various faith traditions and examines how the scientific community is now measuring the physical and mental benefits of letting go of grief and resentment. The film has aired in primetime on most PBS stations. It was also the centerpiece of special events at the United Nations and at Virginia Tech following the tragedy there. The POWER of FORGIVENESS includes interviews with renowned Buddhist teacher Thich Nhat Hanh, Nobel Peace Laureate Elie Wiesel on forgiveness in the Jewish tradition, best-selling authors Thomas Moore and Marianne Williamson, and others. It also includes feature stories on the Amish, the 9/11 tragedy and peace-building in Northern Ireland. Special Guests: Yanling Yu and Rex Johnson, founders of Washington Advocates for Patient Safety, will be joined by Ross H. Ehrmantraut, Clinical Director, Team Performance at UW Medicine in a post-film Q&A and discussion of efforts to improve patient safety in Seattle and Washington state.